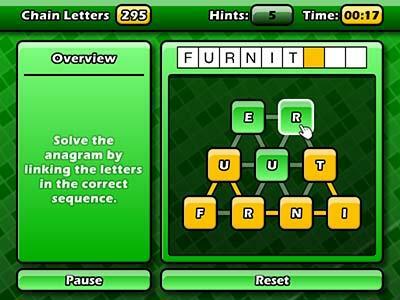 Puzzler World brings over 1200 puzzles of 8 popular puzzle types to your PC. Conceptis picture logic puzzle fans will be happy to know that in addition to Crossword, Wordsearch, Fitword, Sudoku, Codeword, Spot the Difference and Silhouette puzzles, Puzzler World also offers 83 Conceptis Link-a-Pix available in sizes of 10×10, 20×20 and 25×25. 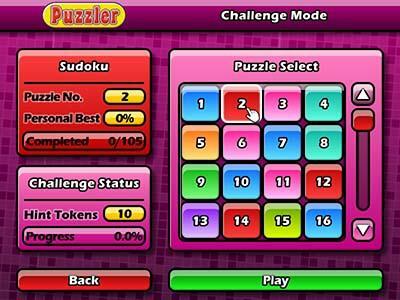 Puzzler World is split across two game modes: Quickplay, for a fast puzzle fix, and Challenge, for advance gaming where you can prove your puzzling prowess and tackle a wealth of puzzles and unlockable bonus games on offer. Successful players can win Hint Tokens to spend on tips and solutions as well as unlock exciting Bonus Games from six additional games to discover; Hangman, Chain Letters, Equate, Jigsaw, Picture Quiz and Missing Piece. The game also boasts a Handwriting Recognition feature which allows players to teach the game their own unique alphabet and handwriting style. Challenge: Play for Bonus Games and Rewards, or beat your personal best time. 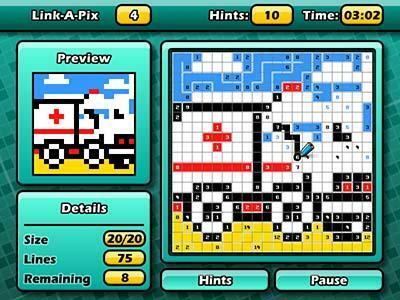 Quick Play: An instant way to improve your puzzling skills. Bonus Games: Unlock additional bonus games in Challenge mode including Hangman, Equate, Jigsaw, Picture Quiz, Chain Letters and Missing Piece. Handwriting Recognition: You can write in your own handwriting style which the game will learn to recognize. Plenty of different types of puzzles to play, easy to get 100% achievements, only downside is the lack of resolution options.